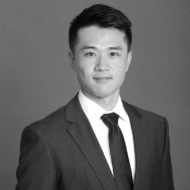 Yuan Lai is a PhD candidate in the NYU Tandon School of Engineering. He is a research affiliate of Dr. Constantine Kontokosta's Civic Analytics Program at the NYU Marron Institute of Urban Management. His research focuses on urban informatics and data-driven city development. He holds a M.S. in Urban Informatics from NYU CUSP and a M.S. in Urban Planning, specializing in urban design and GIS, from State University of New York at Buffalo. Prior to NYU, he practiced as an architect with Moshe Safdie on large-scale building design and master planning projects. He is an Accredited Professional of Leadership in Energy & Environmental Design specialized in neighborhood development.